EDIT: I wrote an updated version of this article entitled General Purpose Combat Cartridge Revisited. Please see that article for updated info. Of all the General Purpose Combat Cartridge talk that’s taken place lately, I haven’t seen it looked at from this angle before. I’m going to take the minimum velocity required to be lethal at 800 yards. Then I’m going to work backwards to find the required muzzle velocity. The standard military 308 is considered to be effective to at least 800 yards. So our cartridge should be as lethal as the 308 at 800 yards. The Hornady HITS calculator is a decent way to compare bullet lethality. The Hornady HITS calculator gives a conservative estimate of the bullet diameter, weight and velocity required to reliably kill game. It’s not a perfect way to estimate a bullet’s lethal ability. But should give some “ballpark” numbers to help design our general purpose combat cartridge. Please keep in mind: 500 HITS is the minimum for deer-sized game. The standard military 308 loading is called M80 ball. It’s a 147 Grain, .308 caliber bullet with a 2800 fps muzzle velocity. It retains 1277 fps at 800 yards, which gives it a HITS score of 415. Lets make our target a little higher at 450. The military did extensive testing in the 1920-1930s to create a General Purpose Combat Cartridge. They found that 120 grains was the minimum bullet weight for combat. They also found bullets heavier than 130 grains didn’t make the bullet more lethal against humans. 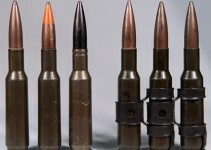 Lastly, they decided the bullet must be at least 6.5mm in diameter, and no larger than 7mm. Note that as sectional density goes down, the muzzle velocity goes up very quickly. That’s because higher sectional density bullets don’t lose speed as quickly. More details in my Sectional Density article. In my mind, the clear winner is the 130 grain 6.5mm. It offers the same HITS score with much less recoil compared to all other options. Low recoil is very important for a general purpose combat cartridge because of close quarters combat. Low recoil allows faster follow up shots and quicker sight recovery. Remember, 500 HITS is the minimum for deer. The 175gr 308 is more lethal at long range. No doubt about it. But the 130gr 6.5mm is lethal enough. 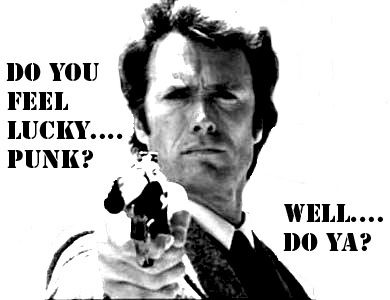 Do we agree that a .357 Magnum at point blank range is deadly? The 130gr 6.5mm has also less bullet drop and drifts less in the wind. 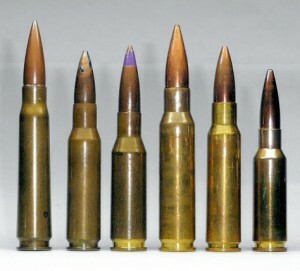 Most importantly: The 175gr .308 produces over 70% more recoil than our 130gr 6.5mm @ 2600 fps. Our little 130gr 6.5mm bullet at 2600 fps has low enough recoil to be effective in close quarters combat. It drops less and drifts less in the wind than .308. Plus, at 800 yards it hits like a .357 magnum does at point blank range. I think it would make an excellent General Purpose Combat Cartridge. P.S. I think you could bump the velocity up another 100 FPS and still keep the recoil low enough for a general purpose combat cartridge. But that would require some (military) testing to confirm. Email is the best way to contact me. You can find the relevant information on the Contact Me page. have fly out at very high velocities to do the job. I generated the tables myself and you’re 100% right: velocity isn’t the Holy Grail of shooting. Nice article. If you had to choose a case for this round, what would it be? 6.5 Grendal seems to be just a tad low in the powder capacity department, while 6.5 Creedmore .260 Rem and 6.5 x 47 Lapua seem like they may be a tad more than you need. Yup, Grendel is low and the larger ones are too big. I would prefer a .308 rim diameter with a ~2.5″ cartridge overall length. Think some of the match cartridges (like the first 4 here). If you read my General Purpose Combat Cartridge Revisited article, I do go into some detail about which case I think would be ideal. Yes,agree with Abe here.This brings us back to .280 British which could have been the answer back in the day.Also 2.5″ is about as long as it was and close to BR’s at 2.44″. auto in basic service rifle.